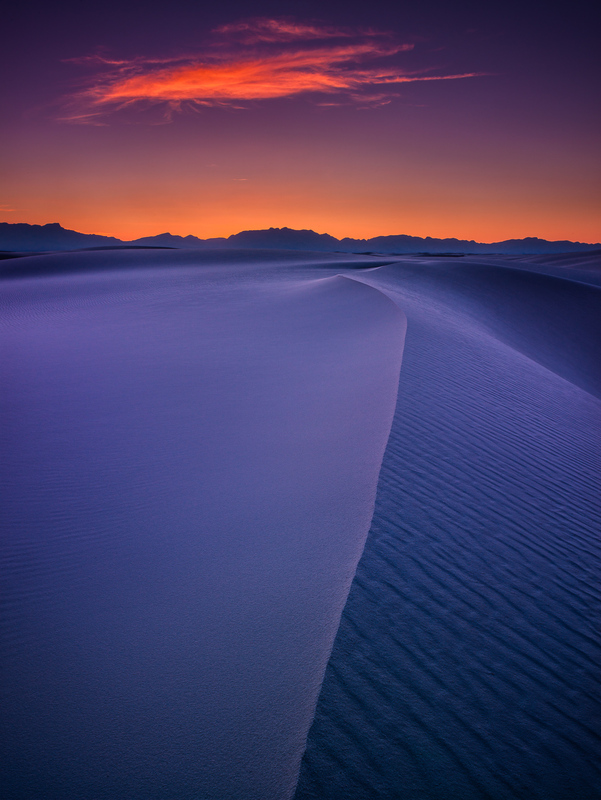 Sunset at White Sands National Monument, the largest gypsum sand dunes in the world and site of incredible sunrises and sunsets. Lets take turns and share this treasure. Photo © copyright by Lance B. Carter.